This morning, HGH celebrated the Franco-Ontarian Day by gathering the hospital family at the main entrance for the flag salute and speeches. The hospital CEO, Marc LeBoutillier, recalled the hospital’s unique character, reflected by its Franco-Ontarian culture and its mission to serve the Francophone community of Eastern Ontario through an active offer of services in French. 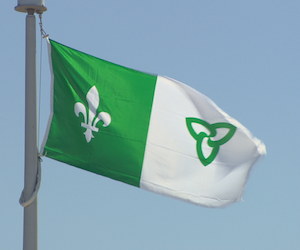 Gisèle Larocque, Vice-President, Human Resources and Community Relations, mentioned that the Franco-Ontarian flag was officially raised for the first time in Sudbury on September 25, 1975, and recognized by the Government of Ontario in June 2001. 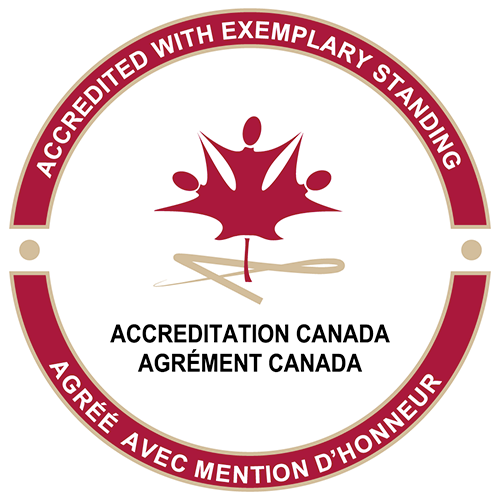 This symbol allows HGH employees, physicians and volunteers to demonstrate their pride and belonging to the global Francophone community. HGH is a growing hospital, anchored in the Prescott-Russell area and becoming a model community hospital in Ontario. Our achievements and development reflect the vitality and pride of the Franco-Ontarian community we serve.